U.S. stocks surged Tuesday as investors digested stellar economic data that appeared to put the housing and financial crises far in the rearview mirror. The Dow Jones Industrial Average closed at a record high of 15,409.39, after gaining more than 100 points, or 0.7%. (Tracking the Dow 30). 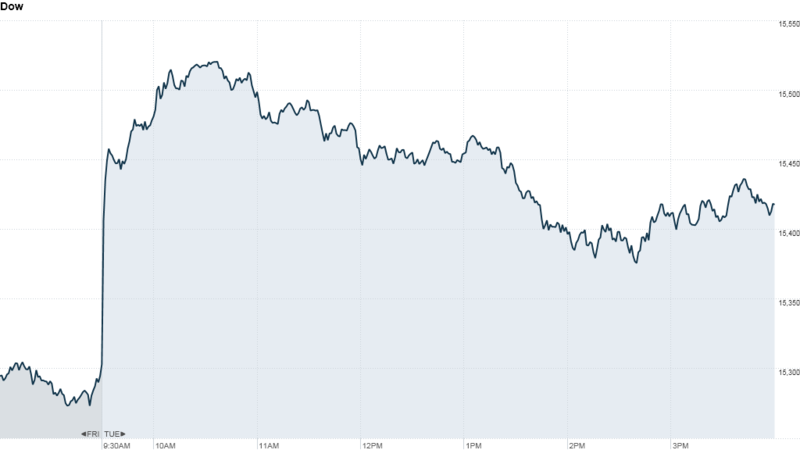 The S&P 500 rose 0.7%, and the Nasdaq added 0.9%. At the same time, the yield on the 10-year Treasury note surged above 2.1% -- its highest level in more than a year. Housing is hot. Consumers are confident: S&P/Case-Shiller reported that housing prices rose a better-than-expected 10.2% during the first quarter. That was the biggest increase since 2007 and helped boost the entire sector. The SPDR S&P Homebuilders (XHB) ETF gained more than 2% at one point. Separately, the May reading on consumer confidence hit a five-year high and jumped more than expected. The Tuesday rally effect: Tuesday seems to be the day for buying in 2013 and today marks the 20th consecutive Tuesday that the Dow has inked gains. Central bankers keep their foot on the gas: Central bankers, including the Federal Reserve, have been fueling the 2013 rally by buying up government bonds to push down interest rates and entice investors to buy stocks. Central bankers in Japan and Europe signaled they were prepared to keep pumping money into their respective economies to keep rates low, even amid signs of recovery. Asian markets and European markets both closed higher, gaining more than 1%. 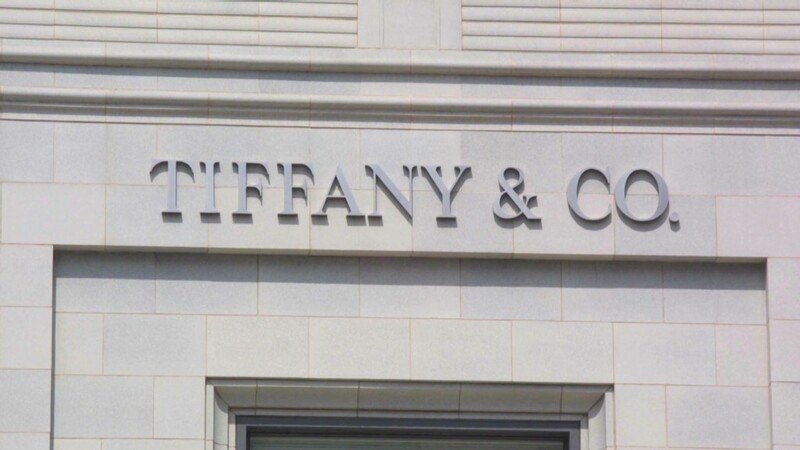 Grab bag of corporate news: Tiffany (TIF) reported better-than-expected earnings but lowered its revenue outlook. Valeant Pharmaceuticals said Monday it was buying eye care specialist Bausch & Lomb from private equity firm Warburg Pincus. U.S. shares of Valeant (VRX), Canada's largest drugmaker, rose nearly 9%. Shares of Netflix (NFLX) slumped after the much-hyped new season of Arrested Development kicked off over the Memorial Day weekend. Shares of the electric car maker Tesla (TSLA), backed by billionaire Elon Musk, surged 13%, topping $100 for the first time. Banana purveyor Dole (DOLE) sank 6%, after the company announced that it would suspend its plan to buy back $200 million of its own shares.